Are you looking for an office furniture revamp? Well you’ve come to the right people! 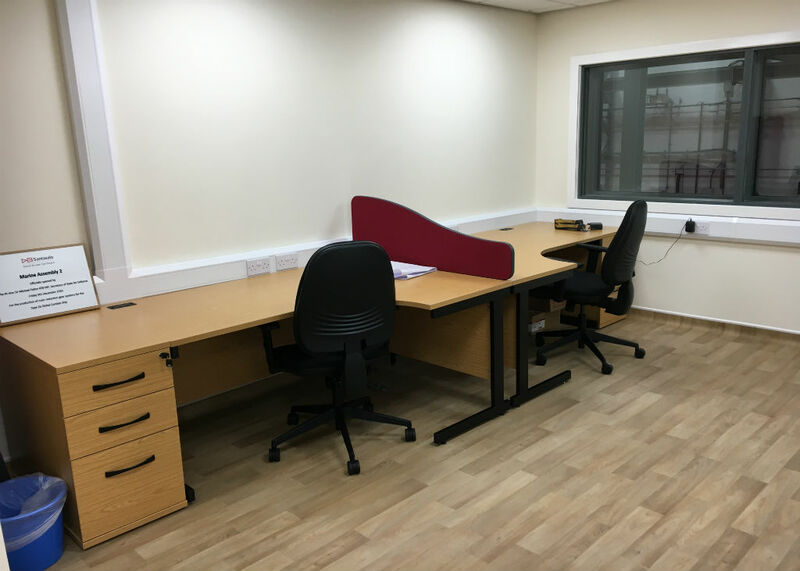 We can help with your office furniture project by giving FREE one to one help with designing and planning the office including producing FREE cad drawings which can help visualise your office layout. We also have our 10,000sq ft showroom available for you to look around and try our products yourself. Once your office furniture is all sorted we can then deliver and install your furniture at a time to suit you. We have previously supplied office furniture to David Brown Gears in Huddersfield so they have recently come back for more. 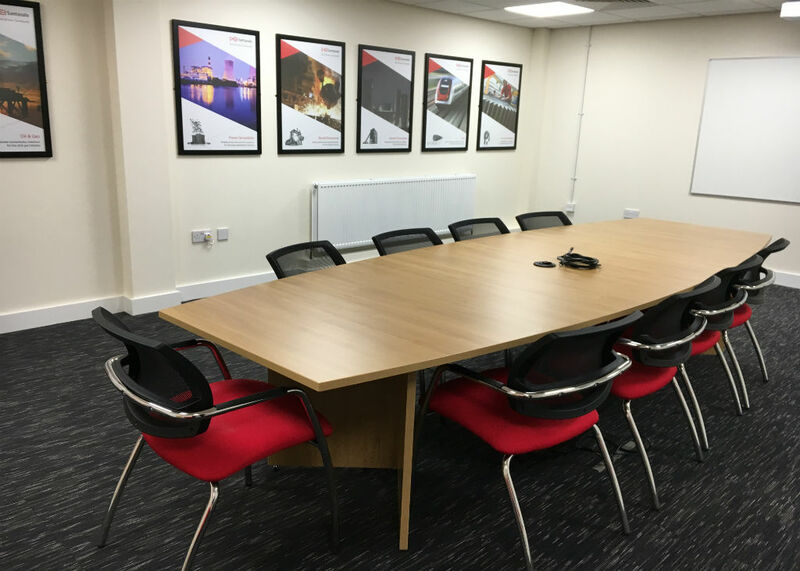 In this office furniture project we supplied a new boardroom/meeting room, desks, chairs and reception seating. 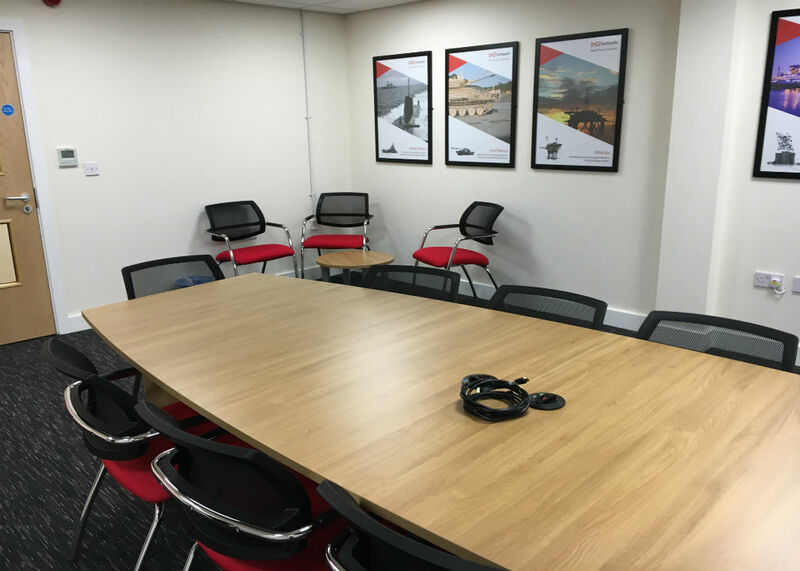 In this office furniture project we created a new boardroom/meeting room with an ambus barrell shaped conference table with arrow head base including cable management in the centre of the table for presentations etc. This was paired up with the matrix mesh back meeting chair on four legged chrome legs in black and red to match David Brown Gears company colours. 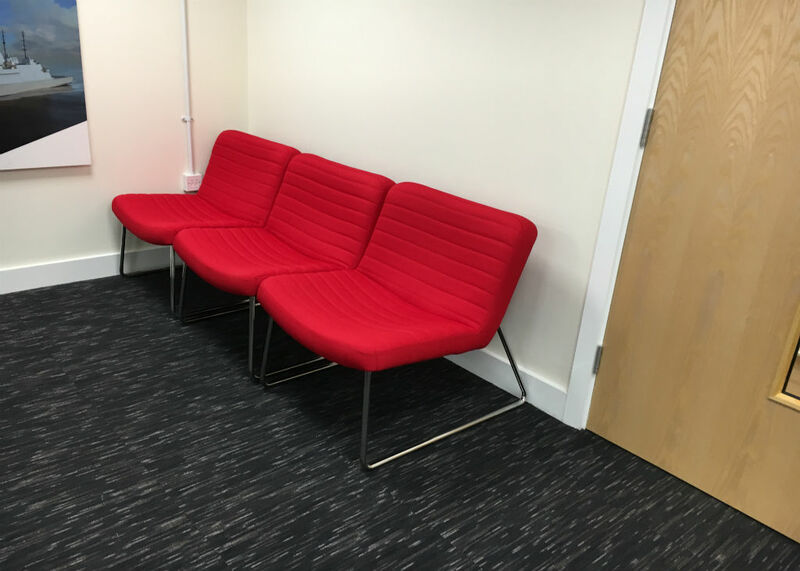 In the boardroom we also supplied Viva lounge chairs in red on sled bases, which looked great as a pop of colour in there. 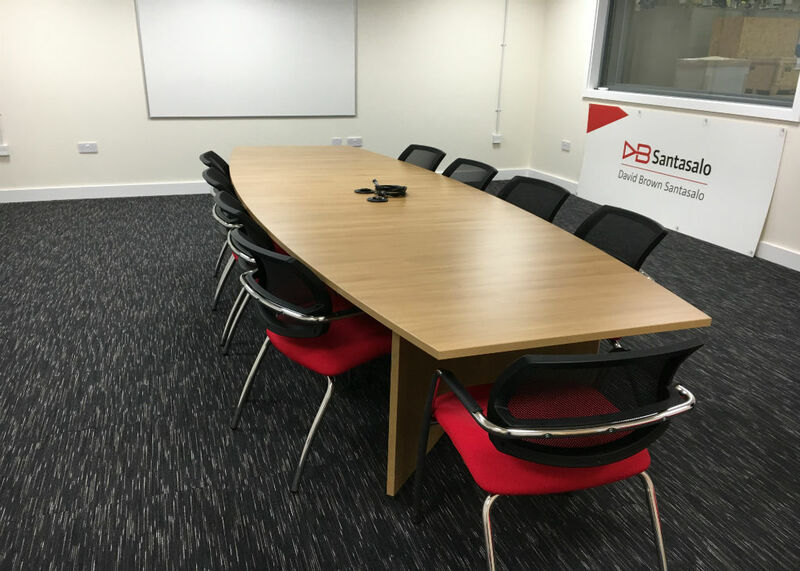 We supplied our sirius desks in calva oak with desk high pedestals for storage, these were also seperated with our flite screens in a strong ruby colour, all with black handles, black trim and legs to match. For the office chairs we used the curve chair in black. 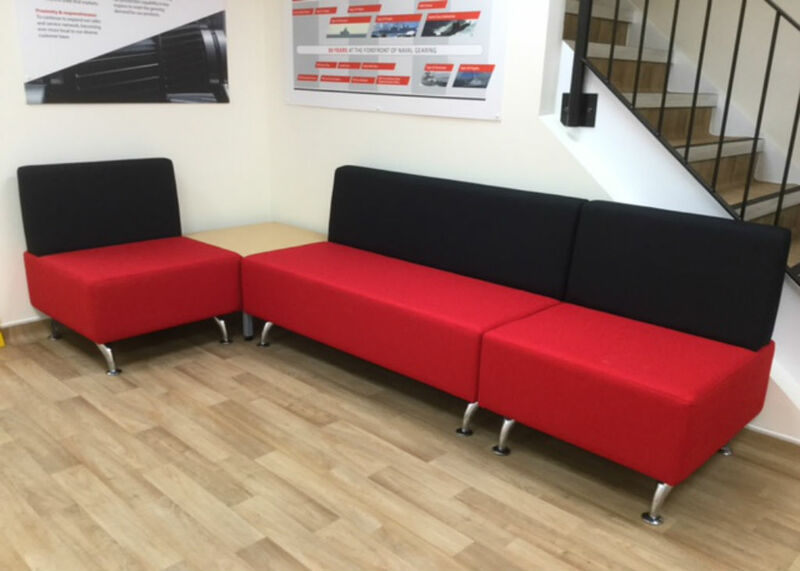 In the reception we used the ICE sofas in black and red with silver legs.